Aug. 25, 2016, 2:39 p.m. 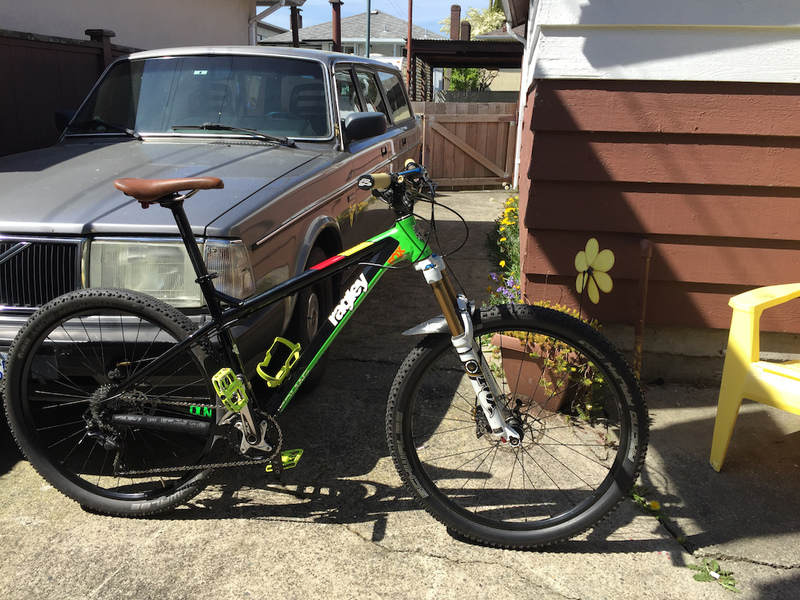 Please keep an eye out for my custom Ragley Marley hardtail, it was stolen from my building Aug. 24th. Serial number IC1501507, custom build with neon chromag pedals, RaceFace dropper post and wheels, shimano slx drivetrain, and renthal bar and stem. Photo on the car is most recent. Please share and find the scumbag who nabbed it! Likely still has an abus lock around it as the bike rack was unbolted from the floor when it was taken.